The first years of Brass Band Concerts at the Riverside Bandstand were very successful and have now become a regular part of many people's Sunday afternoon enjoyment - see below for this year's programme, or download a copy here. 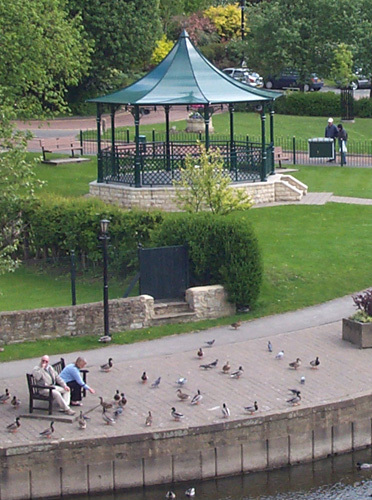 Concerts are promoted by the Wetherby Riverside Bandstand Trust (Charity Reg. No. : 1091207) which was set up to manage the Bandstand. For bookings contact the secretary Mrs Mary Gray on 01937 520578. Concerts begin at 2.30 and finish at 4.30pm. Bands have been given permission to make a collection during their performances.